What is everyone using for an electric brake controller? I have a Tekonsha brand in two trucks that are different models and neither of them brake how I would like. It’s mostly with the gain adjustments that are annoying. No matter my adjustments, it’s applying about 30% brake when I’m at low speeds. (Parking lot speeds) This is especially annoying when backing up. Though the units work great when driving normal. Though when maneuvering at slow speeds, I’m sure people think I’ve forgotten how to adjust the controller. P2 here also for my '06. If it's for your older truck, you can try a old Kelsey Hays hydraulic actuated controller. I've bought a couple NOS off eBay for me and a friend's older trucks. I heard they are the best. Haven't towed with it yet but have never read/heard a complaint about them. I have a brakesmart and love it! If only they were still available. Don't rub it in! I'm about to replace mine, what is a P2? Are these P2 controllers aggressive on the gain adjustment? I don’t want to be adjusting every time I’m backing up a trailer. Just set and go. What makes the P2 so special? I remember having an old controller with 5 small lights on the front face, a gain knob, and thumb wheel on the side to adjust intensity level. Best damn controllers. They were green in color. 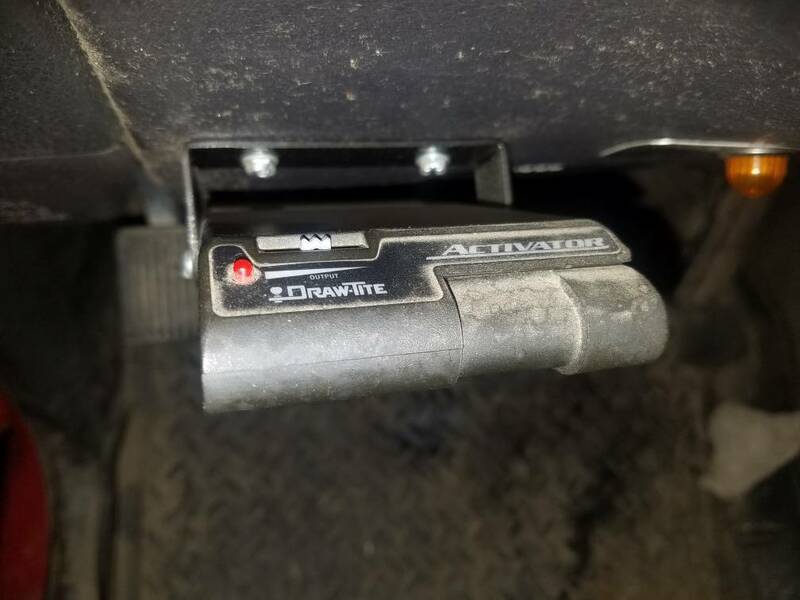 Brake smart has a system pressure monitoring setup that ties into town vehicle brakes system... P3 does as well..
Only time I adjust brake controller setting... Is to adjust for given load on the trailer... Itger than that I don't touch it. I just looked a the P3 installation instructions, I don't see it mentioning a pressure transducer. It does look like Hayes has a true proportioning air brake monitor. I would guess the air pressure transducer is just a 0-5V output, could probably pick one up that is ranged for hydraulic brakes and just change the sensor. Last edited by zstroken; 03-16-2018 at 09:55 AM. Edit I have a P3, no it does not tie into the hydraulic system. It's accelerometer based. It work OK, older Kelsey Hayes is what you want. I switched to the P2 because it works with elec/hyd systems, the P1 not very well. Brake Smart went out of business a long time ago. Not enough people willing to pay for quality IMO, which included me. Think I'm on older tech! Dad had it put in an F150 when he bought a stock trailer, somewhere about 15-20 yrs ago! Kept it after he sold the truck, I dug it out and put it in my truck about 8 or 9 yrs ago! Only adjust when going between trailers, or heavy load to empty. Timer based. Not good for changing conditions, traffic, etc. Would not recommend. Useless in a panic stop. Always worked so far, it's got two slide adjustments, one for overall braking strength, and one for aggressiveness. Would like one of the newer fancier ones, but there's plenty of other things that deserve money on the truck before the brake controller! I have towed with that same one. Wasn't impressed. Ok for the occasional towing, light traffic. Where I live with changing traffic, etc, etc, it required constant adjustment. It just isn't synchronized with the vehicle at all. Those old KH hydraulic units can be had off ebay for $20-40 and for what I have read work really well. I haven't gotten to use mine yet but I suspect being tied into the hydraulic brakes, they are perfectly proportional to the vehicles braking. Last edited by Tobin; 03-16-2018 at 09:10 PM. I’m not interested in a hydraulic unit, just want an electric unit that will work as needed. However, I’m thinking I need to dig out the manual on this one and see if there is any more parameters to adjust. I don’t want to push a button on the unit each time I back up with a trailer. Looks like they have true proportional controllers. Last edited by zstroken; 03-18-2018 at 10:12 PM. Could you expand a bit on what you think it should be doing? A controller with a pendulum will send voltage to the trailer brakes according to the severity of the stop. At low speeds, if it is operating according to design, you will have to mash on the brake pedal to send a stronger voltage to the trailer. When backing, a sudden rearward movement will send voltage to the trailer brakes. Since I don't have any complaints about mine I'm not sure what you are experiencing. I did have a problem with not enough voltage going to the trailer brakes when I manually activated my controller, 10 volts was the highest I could get. I traced the problem to a solderless connector that was used by the installer. After cleaning and soldering the wires a full 12 volts is now sent.